Motorcycle Safety Awareness | Juan Hernandez Law P.C. Each year, the month of May is designated as National Motorcycle Safety Awareness and National Bicycle Safety Month. However, to decrease motorcycle fatalities, motorcycle safety awareness should be observed all year long. Riders of motorcycles and bicycles are particularly vulnerable to serious or fatal injury after an accident. According to data from the National Highway Traffic Safety Administration (NHTSA) in 2006, motorcycle operators are 35 times more likely to die in a collision than a car driver, and eight times more likely to suffer injury. The rate of motorcycle injury in this country has risen since then. Give them room: Follow a motorcycle by no less than four seconds. A motorcycle operator could make an emergency maneuver when encountering traffic, a road hazard or slick pavement. With enough following space, you can avoid a motorcyclist who goes down by accident. 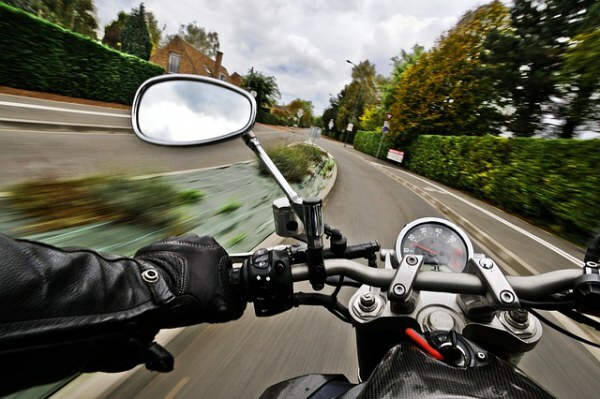 Speed varies: Motorists typically over- and under-estimate the speed of motorcyclists. Cars commonly make left-hand turns in front of motorcycle operators, forcing them to lay down their bike to avoid hitting the car. Either way, the motorcyclist usually suffers severe or fatal injury. Watch it: Always turn your head to check for motorcyclists when changing lanes. Glancing in a mirror is not enough. Fatal accidents occur when motorists merge into lanes occupied by unseen motorcyclists. When parked, look over your shoulder to be sure you do not open your door into oncoming motorcycle traffic. The number of motorcycle operators on the road is rising—and so are fatalities. If injured in a motorcycle or bicycle accident in Dallas, speak with one of the skilled Dallas Personal Injury Attorneys at Juan Hernandez Law P.C.